It’s been too long since I’ve posted; for those waiting for my next post on the ARRL Radiogram, please pardon the delay. The last couple of weeks have been unusually busy. 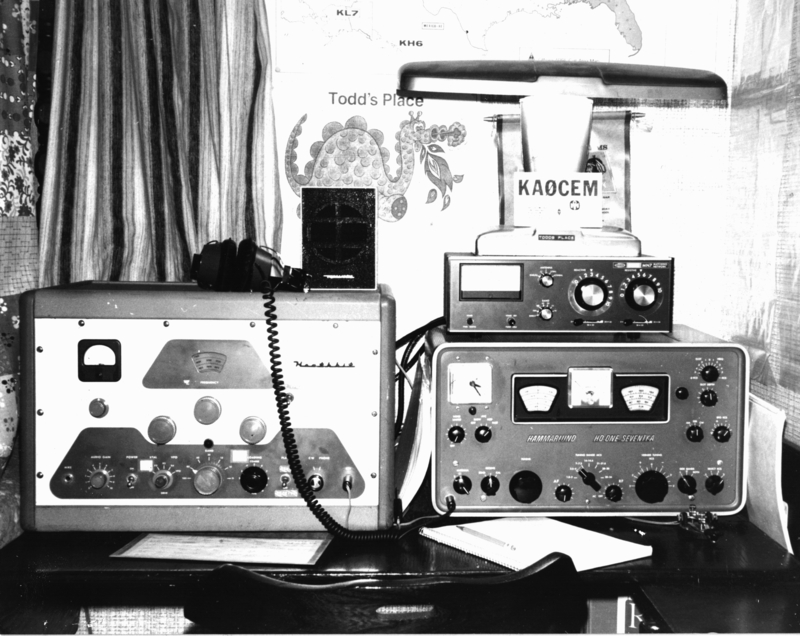 More important matters have largely taken precedence over ham radio and blogging, but ham radio has by no means died at the QTH of NØIP and KAØCEM! ARES® has been thriving here. On July 5, Yellow Medicine County ARES®, Inc. was incorporated. We filed our articles of incorporation with the MN Secretary of State and also obtained vanity call sign WØYMC (Yellow Medicine County) from the FCC! Two nights ago, the board of directors held their organizational meeting at which they adopted bylaws, elected officers, etc. Now we are ready to make application for 501(c)(3) status with the IRS. Hopefully I will get to that next week. We had one emergency operation in July, though I sort of backed into it. After I received a phone call from a friend, my son and I assisted in searching for a missing girl. At first I wasn’t even thinking in terms of ARES. Intending to just help our friends, I told my son to throw on his ARES vest to be more visible, I grabbed mine, and we brought our HT’s so we could communicate. Upon arrival at the scene we found ourselves in the midst of many similarly-clad firefighters and EMS personnel as well as police officers and deputies. Long story short, by the time the search was concluded, many more firefighters would be involved as well as local K9, bloodhounds from Watertown, SD and the MN State Patrol Helicopter. Thanks be to God, the girl eventually turned up safe. The weekly Yellow Medicine County ARES Training Net continues. In July I covered the ARRL radiogram, an introduction to the Incident Command System, and spent one session discussing lessons learned in the search for the missing girl. Thus concludes the latest ARES news from Yellow Medicine County. And on the home front it appears that by elmering my son Antonio, KAØCEM, I have unwittingly steered him toward a career as an electrician! This past Wednesday he was admitted to the Electrician AAS program of MN West Community College, Canby, as a PSEO (Post-Secondary Enrollment Option) student in his last two years of highschool/homeschool. He surprised me a couple months ago by asking about this, and now he’s all registered for classes and already has a pile of books to study. That’s all I have time for right now. After dashing this off it’s back to work for me. Hopefully I’ll get back to regular posting next week. I know, I know. Just five months ago I got a new call sign: NIØL. But as I said back then, there was an even better call sign that I wanted: NØIP. I’ve always preferred 1×2 call signs, probably because back when I first became a ham that was what every extra-class operator got. But not only is NØIP “lightweight” in Morse Code, it also suits me as a web developer (IP stands for “Internet Protocol”). I feel bad for killing NIØL for the next two years. That’s what happens anytime you take a new vanity call sign — when you cancel your old one, it stays out of circulation for the next two years and one day. I’ve heard there are hams who change their vanity call signs as often as they change their socks, but I intend to keep my new call sign for the rest of my life. It’s downright selfish to tie up a call sign on a whim since the pool of available call signs is already so small, but I think I made the right choice. After all, the odds were against me when I applied for NØIP. Half a dozen other hams were in the running, but I won the lottery. If I hadn’t, I sure would have regretted not snapping up NIØL when I had the chance. The straight key pictured on this card is the one I’ve been using since I was 10 years old — a Nye Viking Speed-X. It’s a great key! While I prefer using paddles with an electronic keyer, I have still used this straight key from time to time over the years, especially for portable operation. 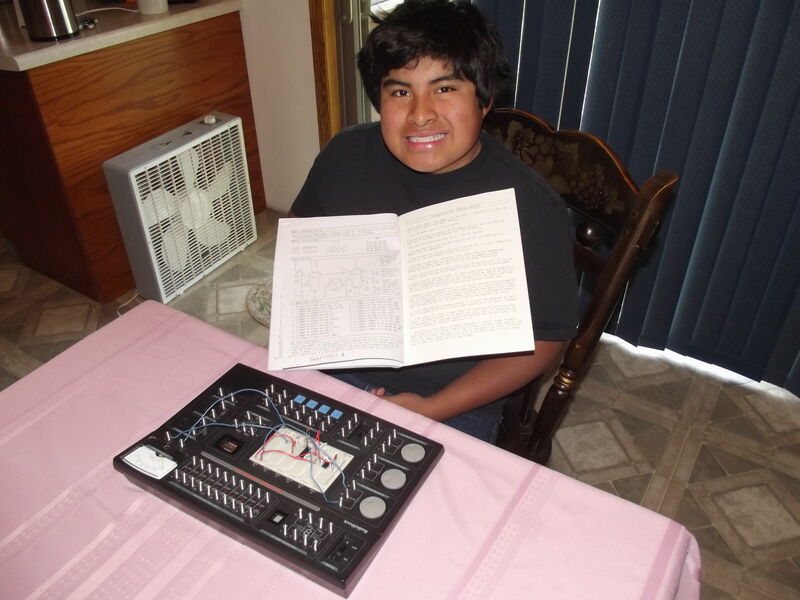 That was the case this past weekend when I set up my Heathkit HW-8 on the picnic table in the backyard. There’s nothing like sitting outside and working QRP with a trusty straight key! All sorts of little shipments keep rolling in — torroids, wire, ferrite beads, teflon tubing, mast sections, coax connectors, SWR analyzer, Softrock kit, etc. I haven’t had time to do anything with them quite yet, though. Not only have there been far more important things on the agenda (like the magnificent Conference on Suffering we had at our church last weekend), but there are a few things on the critical path that need done before sitting down at the electronic workbench. One of those things is simply putting my office in order — not just cleaning it, but remodeling it a bit. This is something that has needed to be done since I moved in, and it should help me immensely in my vocation. A nice spin-off of the hobby! In the meantime, my new call sign came in: NIØL. The FCC calls it a “vanity call sign” because I requested it, but I sure hope I’m not being vain! I put in for this call sign for two reasons. 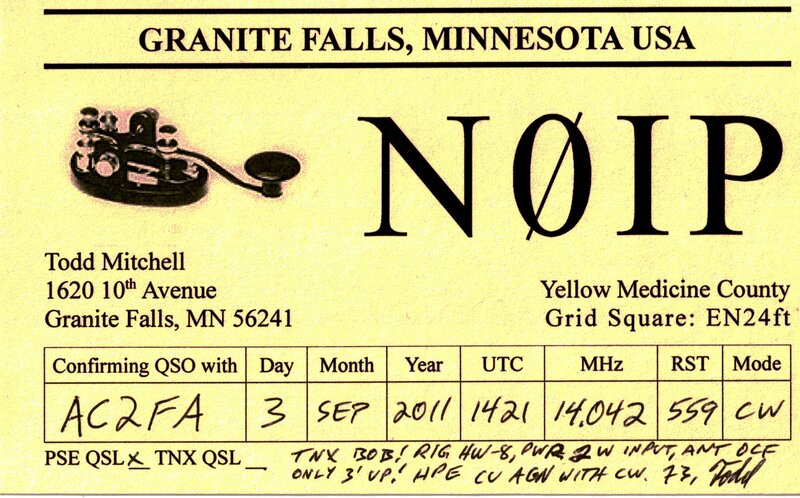 First, it’s “lighter-weight” in CW than my old call sign (though my old one, NØART, was nicely iambic). Second, my old call sign was often misinterpreted by folks who saw it on my license plate. They would read NØART as “No art!” as if I was expressing some kind of Philistine aesthetic philosophy. But the biggest reason is its ease of sending with CW, my favorite mode. There’s a different call sign that I have my eye on, but it won’t become available for another four months (two years and one day after it was released by the last holder). But since there’s an element of chance to getting these (It’s not quite first-come-first-serve; everyone who applies on the same calendar day has an equal chance. ), I figured I’d better grab this one before it got snapped up.